I always knew that I was different and, as I grew older, I learned to manage my natural born psychic abilities of Clairvoyant and Clairsentient. All my life I have been fascinated with the supernatural, paranormal, and metaphysical - you name it. At the age of 15, I became a Wiccan witch. Not long after that I bought my first rune cards, a year later, I bought my first tarot deck and I have not stopped since. I now have over 20 years of experience as a Tarot & Rune Reader. Hi, My name is Maria I'm a third- generation natural born psychic. I have read the tarot and runes for over 20 years. My readings are honest and to the point. I tell you what I see no matter good or bad. I'm also a certified Life Coach and Wiccan Witch. My psychic gifts (Clairvoyant and Clairsentient) along with the tarot and runes. My goal is to give you the BEST tarot psychic reading online. No other women. Will get back together. He is stressed. MariaIsoldde has been a user of Keen since 2010. 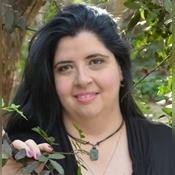 Getting Tarot Readers advice from MariaIsoldde through www.keen.com is safe, secure and confidential.